- My husband and my daughter went for a walk and I turned the house down, and I was washing dishes and just putting things away. They came back from their walk and we just wanted to peek in on the twins. We did this often, we just liked to watch them sleep. They just always looked so cute. So I opened the door first and my husband was behind me and Maddie was behind my husband. When I opened the door I looked into my twins' bedroom and I saw that my daughter was in the corner of her crib sitting in an unnatural position. She was up against the corner of her crib with her head down, and I knew something was wrong immediately. I ran to her and I grabbed her, and when I grabbed her that's when I saw that there was a cord around her neck. I released the cord from her neck and everybody's screaming at this point, crying. When I held her, she was cool to the touch so I knew that she was gone, immediately I knew. My life completely and totally fell apart. My family fell apart. It was a very difficult time for us. I didn't understand what happened and I had a friend explain to me that my daughter had pulled on the cord that ran in between the slats of the blind, not on the pull cord, and that cord pulled out and formed a loop which she put around her neck and strangled on. I just didn't understand, I thought I was the only one. It wasn't soon after this that I received a letter in the mail from a man who told me that I was not the only one, in fact there was hundreds of parents who had lost their children from window covering blinds all over the nation. And I said, "Well why isn't someone doing something?" And before I knew it I said, "Send me everything you had." So before I knew it I was in the middle of my family room with 300 in-depth investigation reports from the Consumer Product Safety Commission and I had read every single one of them. 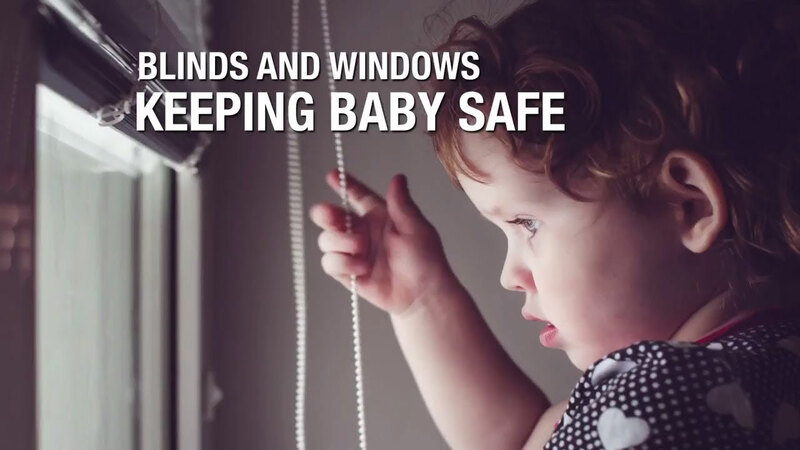 I was reading all of these death reports of children who were strangling on cords, and that is when my husband and I decided to found Parents for Window Blind Safety in November 2002. Today I'm gonna show you how to tell if your window covering is hazardous. The first thing to look for is are there dangling cords? And here you can see very easily how these tassels can tangle together and form loops for your children to get their heads and necks into. These are supposed to be, these are called safety tassels, and as you can see they're not very safe at all. Children have wrapped these around their necks and strangled. The other side of this window covering has two safety tassels attached, but they can very quickly tangle together and form a loop, even if they're separated like this they can tangle together. Another way a child can get tangled together is if they pull this inner cord out. It's very easy to pull out the inner cord and form a loop. I'm gonna show you the hazard areas on a Roman shade. The first thing you want to look for is the pull cord. The pull cord on this Roman shade has been cut short but when you open the shade it makes the cord long enough to wrap around the neck of the child. So you don't want to have any pull cord on a Roman shade. They make cordless Roman shades. The problem with cordless Roman shades is they have cords that run on the back. This is the part of the shade that is facing the window which is usually hidden from the parent. These inner cords can be pulled out and be wrapped around the neck of a child. A child usually goes to the window and looks out the window and sees the cords behind the window, and that is when they get entrapped in the inner cord. So we recommend a cordless Roman shade with no inner cords on them at all, or inner cords that are covered with a shroud or some other type of material. This is a roller shade, and this shade is the most hazardous shade that you have in your home if you have it. There is no way to make this shade safe and let me show you why. First of all, it has the longest cord on the shade that can obviously strangle your child. But even if you make this cord as short as you can, these cords can easily slip off, and there's your loop. There's no way to make these cords safe at all, whatsoever. They're always gonna be looped, and they're always gonna be long, very long. This is the worst product that you could buy for your home. One of the easiest solutions that you can do is use a temporary shade like this. It's made out of paper and you don't even have to take the brackets out of your window. Let's say you're in a rented home and your landlord doesn't want you to remove the window covering. You can just take and slide that window covering out of the brackets, and take this paper shade, peel off the sticker that's right here, and stick it right up in your window and put this up in your child's bedroom until you move out and then you can take the window blind that you had and replace it back when you guys get ready to leave. This solves the problem of your safety issue in your rented home.